DISPLAY, ORGANIZE & STORE UP. 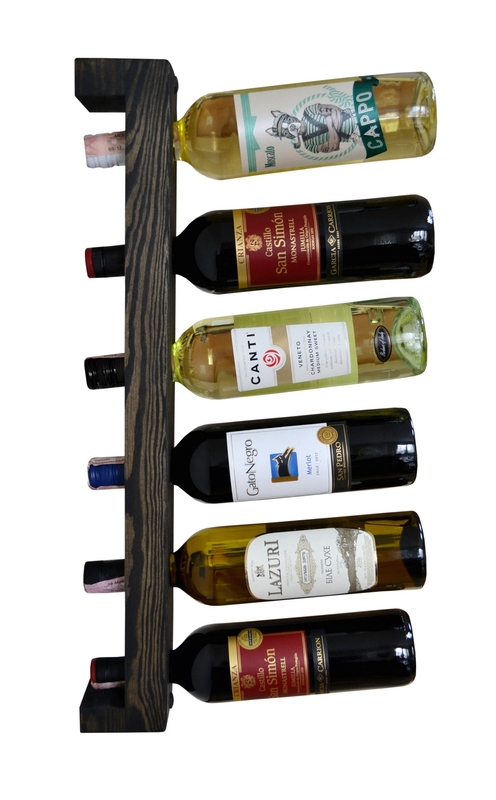 This Wine Rack can hold 6 bottles of your favorite wine, without taking up floor space. Perfect for kitchens, dining rooms, bars, counter space, wine cellar, wine shops, café, restaurants etc. Dimensions: Length: 59 cm (23.2”), Width: 6 cm (2.4”), Depth: 9 cm (3.6”). The reverse side is smoothly sanded, so it does not scratch the wall. The Wine Rack comes ready to mount, hardware is included! Packing: The Wine Rack with pre-drilled holes, 2 mounting screws, two pairs of dowels for drywall and hard walls, 2 wooden caps. This Wine Rack can hold 6 bottles of your favorite wine, without taking up floor space. Perfect for kitchens, dining rooms, bars, counter spaces, wine cellars, wine shops, cafés, restaurants etc. It's simple, functional and good-looking!